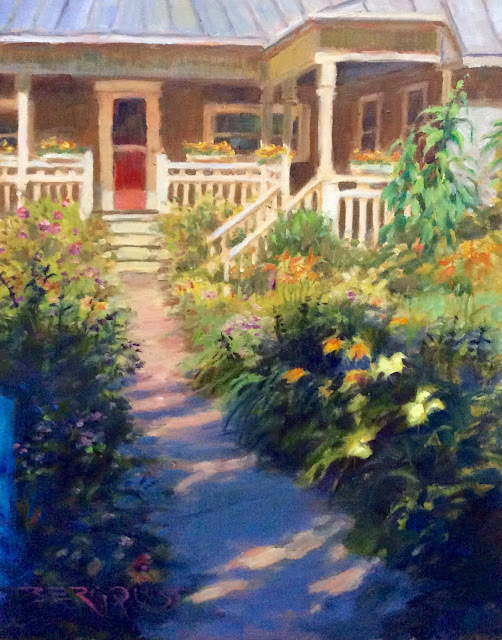 VIVA Gallery is brightening up January with a member show we are calling "Into the Light". Members have been given free rein to create a piece(s) of art that reflect this theme. Although we won’t list all the things you will see, here are some enticing examples that should make you want to visit the gallery and view the new works. M’Lou Wilkie is creating a lovely stained glass piece that features two birds soaring toward the sun. Ann Tedeschi’s watercolor painting of sparkling icicles is just like looking out a window on a bright winter’s day. Sunlight dapples a picturesque path in an oil painting by Paul Bergquist. The recent lunar eclipse is captured by the lens of Jerry Quebe. Deb Conlon takes you to warmer climes with three small oil paintings done in Key West. And Ken and Michelle Workowski took the theme most literally, creating some wonderful root lamps with handmade shades.